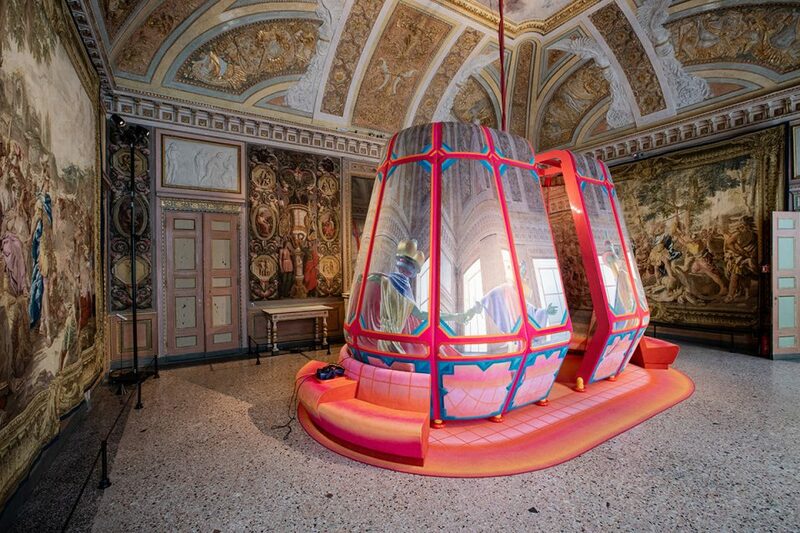 A series of unusual and experimental architectural installations at Milan Design Week 2019 allows visitors the chance to get inside the minds of radical architects, designers, and artists from around the world. 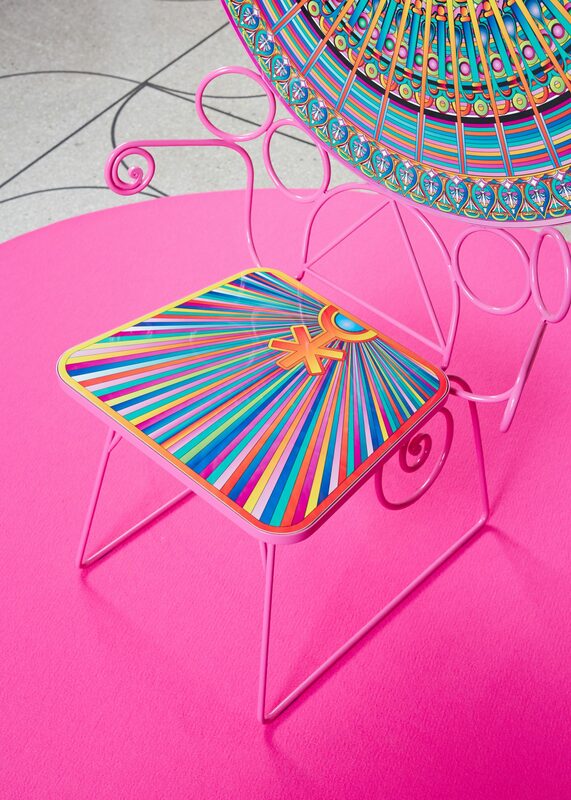 These pieces, made in collaboration with prominent Italian brands and historic venues, showcase not only great work by emerging design professionals and veteran acts, but also give attention to pressing themes facing humanity today, such as climate change and life in the ever-evolving digital age. 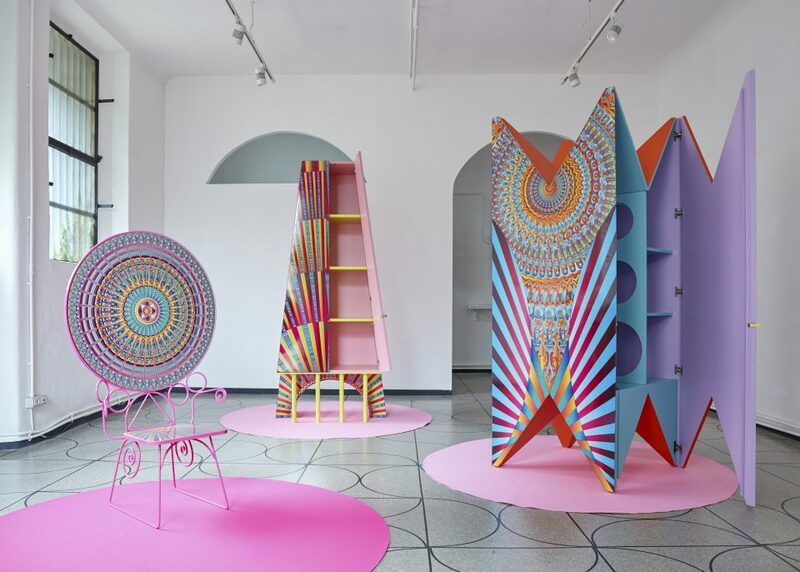 Some of the projects simply bring beauty to the forefront, reminding visitors to look for inspiration in eclectic design. 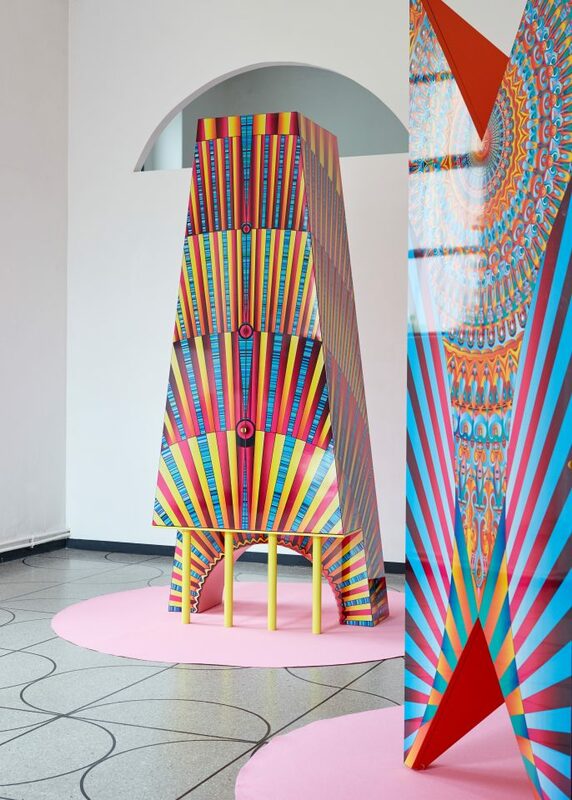 Check out some of AN Interior’s favorite installations from the massive design event below. 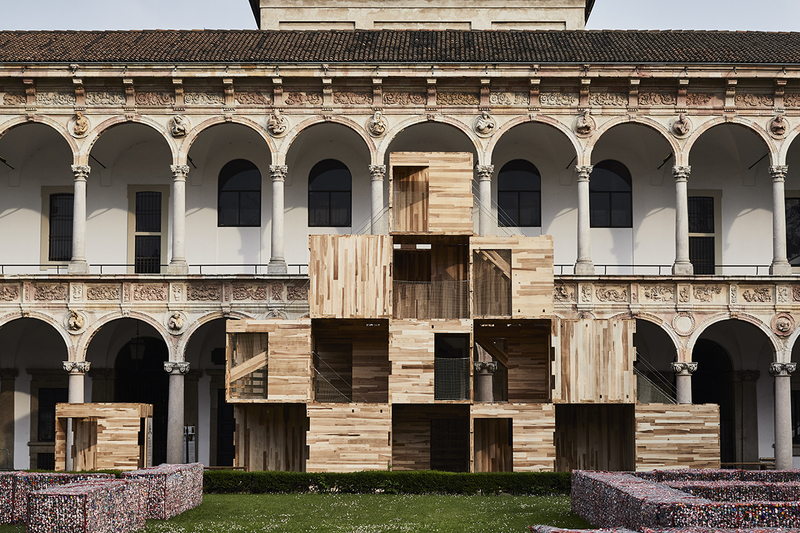 Situated in the courtyard of the Università Degli Studi di Milano is a series of stacked wooden boxes that create a unique, human-scale maze for visitors to explore. MultiPly, by Waugh Thistleton Architects, ARUP, and the American Hardwood Export Council, is made from American tulipwood cross-laminated timber slabs that together form a 30-foot high installation. Originally showcased at the London Design Festival, the project demonstrates the power of sustainable materials in modular construction. According to the architects, the design “confronts two of the current age’s biggest challenges—the pressing need for housing and the urgency to fight climate change.” Both of these issues can be addressed, the architects argue, through pre-fabricated, wood-based buildings that lower carbon emissions from the project’s start throughout its lifespan. 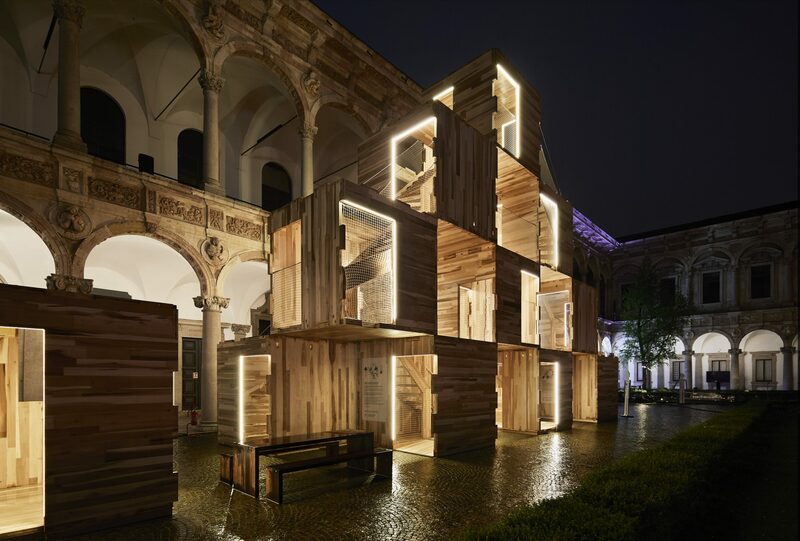 Built as part of Milan Design Week’s Human Spaces exhibition, MultiPly features 18 modules that are connected by stairs, corridors, and open spaces. 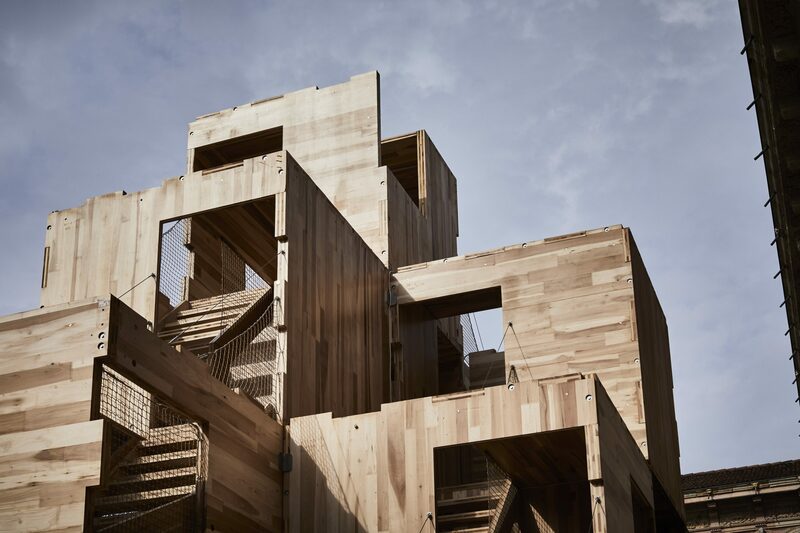 Visitors can climb to the top of the multi-tiered structure, guided by mood-boosting warm lighting that brings out the soft wooden hues and textures of the entire architecture. Commissioned by Milan’s Camp Design Gallery, Furman imagined three shapely collectible furniture pieces as part of his second collaboration with the seminal, high-pressure laminate supplier Abet Laminati. Each of the intricately-patterned projects has a forceful presence, one that was earlier echoed in Furman’s 2017 Four characters in the first act. Sparking a joyful and whimsical tone, the pieces of furniture—a chair and two cabinets, one arched—collectively represent a “model 21st-century family of two parents and an insanely spoiled child,” according to Furman, but their identities are mixed up in one another. Referred to as Gioioso, Benevolente, and Solidale, the characters, or design pieces, “have no official status, but they are pure royalty in their total rejection of the suffocatingly facile codes of good taste, and they honor their freedom and divinely ordained power in the salacious union of sacred and profane, color and form, wilfulness and gluttony,” according to the designer. A colorful container inspired by an 1829 plant carrier that once traversed the world, The Wardian Case symbolizes the transportation of something precious—in this case through both physical and digital worlds. 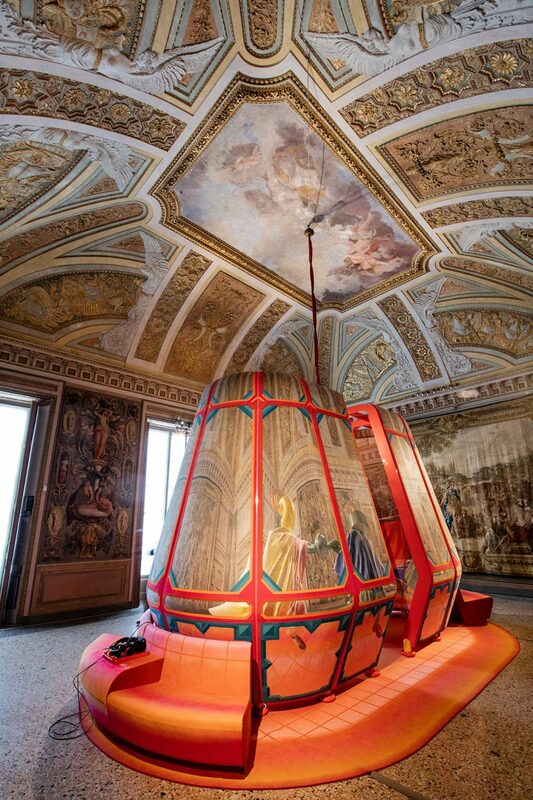 Space Popular, a London-based studio led by Lara Lesmes and Fredrik Hellberg collaborated with Italian materials expert Alcantara to design small tapestry “room” for the manufacturer’s de/coding exhibition in the Royal Palace of Milan. 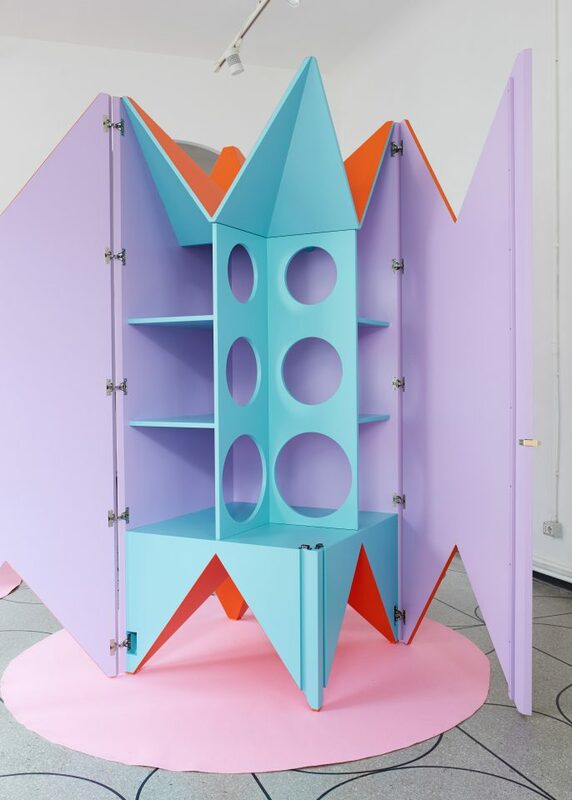 Featured alongside three other site-specific works, The Wardian Case was created to play off the room it sits in. 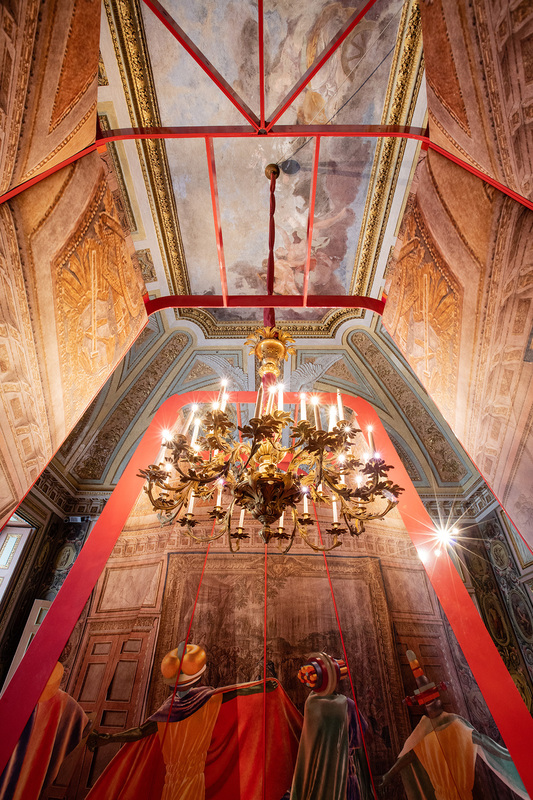 The interior of the neoclassical government building is decked out with ornate Italian tapestries and paintings; Space Popular’s project feeds off those distinct designs. 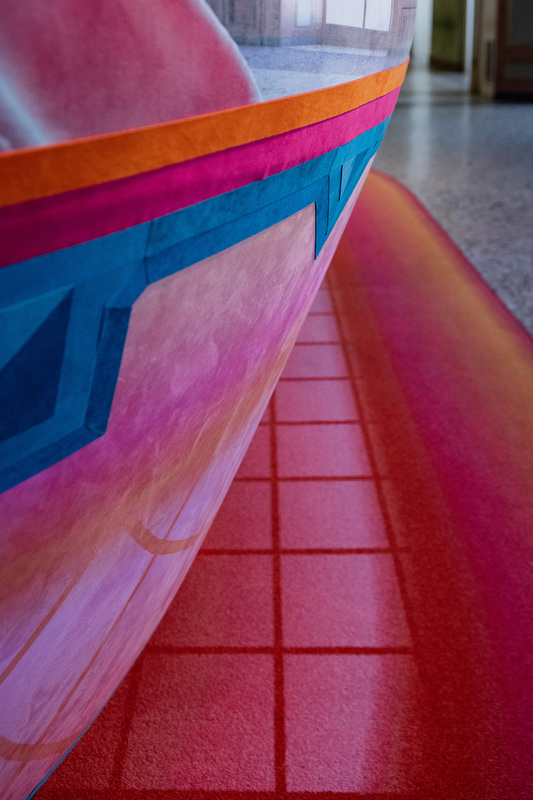 Wrapped in an eye-catching Alcantara fabric, the installation ever-so-slightly blends in with the exhibition space, while also standing out with bold pink and orange hues. Visitors can step inside the three-dimensional case for a virtual reality experience. 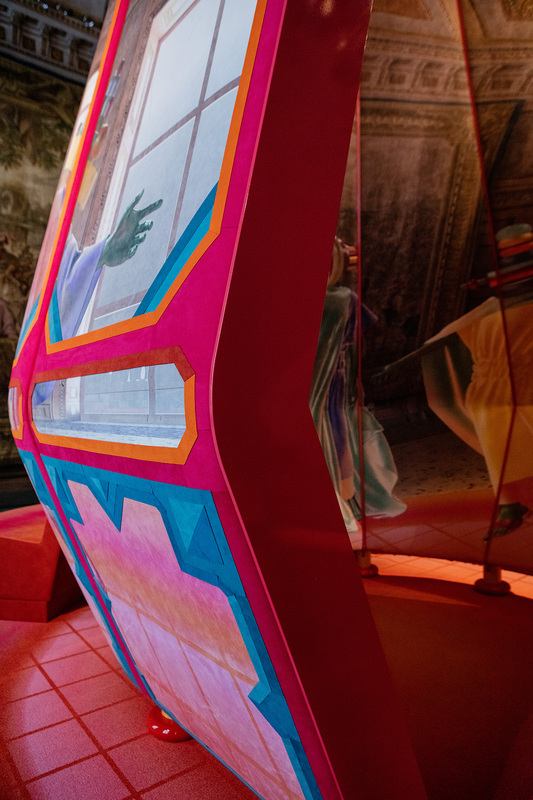 According to the architects, the augmented dimensions are layered and revealed one after another like the stories told within the surrounding tapestries. “Information always finds its medium and dimension to be able to travel as far as possible,” the designers concluded in a statement. Built within Milan’s Superstudio Più is an immersive installation by Morphosis that allows viewers to explore the role of design thinking in solving the greatest urban issues of today. 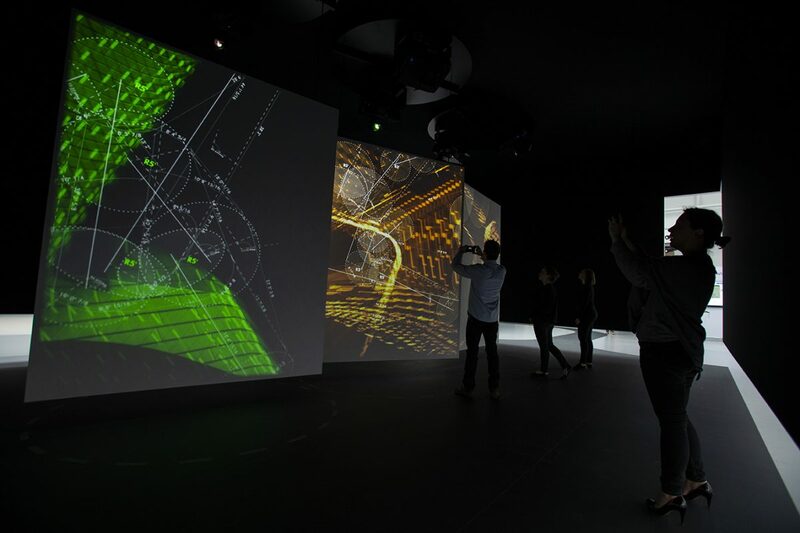 The project was conceived by Dassault Systèmes as part of its Design in the Age of Experience exhibition. 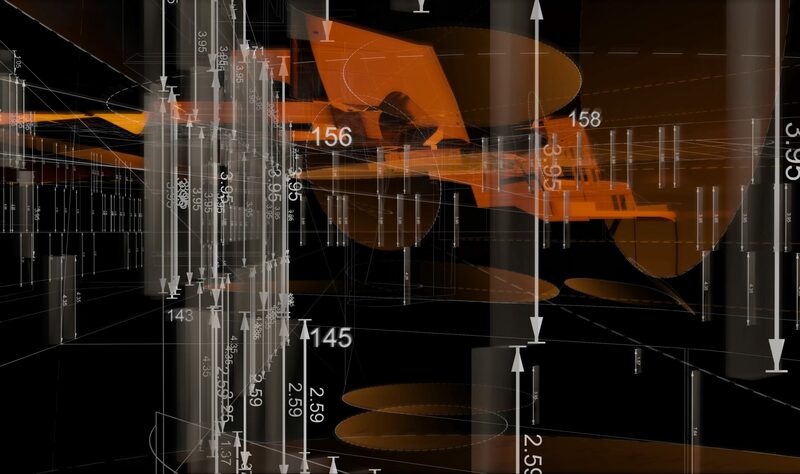 The 3D-design software company used augmented reality and digital projections based on data, drawings, and models from three major Morphosis projects to clue viewers into the decisions the architects made throughout the design process. At the center of the exhibition stands a large white box, a “symbol of the ‘transition’ into the space of the mind of the design,” according to the architects, where visitors enter to find three digitally animated panels that showcase design details behind Morphosis’s Emma and Georgina Bloomberg Center at Cornell Tech in New York, the firm’s Perot Museum of Nature and Science in Dallas, Texas, as well as its Kolon One & Only Tower in Seoul, South Korea. 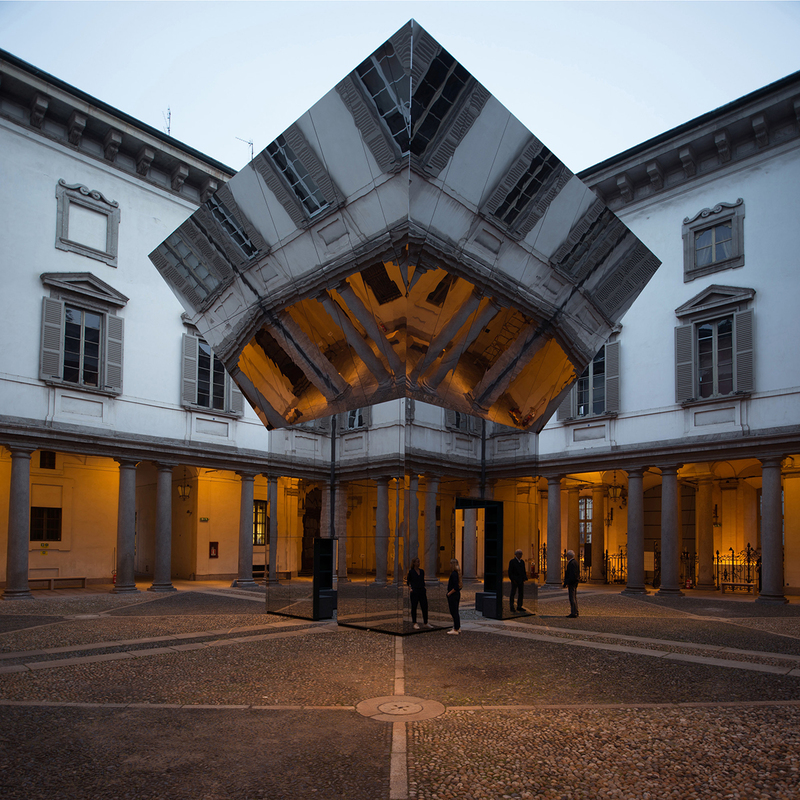 Walking up through the Palazzo Litta in Milan, it might be easy to miss Pezo von Ellrichschausen’s mirrored pavilion, which disappears into the urban landscape and distorts the surrounding baroque architecture. The Chile-based firm designed the structure as a “magic open box,” featuring an inverted pyramid topper that slants upward toward the sky. The entire pavilion is clad in polished stainless steel—everything from the paved plaza to the building’s windows, shutters, columns, and doors are reflected in the viewer’s eyes. On the inside, the smooth surface becomes a rigid geometry, unveiling the mechanics of the architecture as well as an open skylight for new views.